At Wayside Schools, we seek staff with diverse backgrounds, experiences, perspectives, talents and ideas to meet the needs of our growing body of scholars and dynamic programming. At Wayside, we know that leaders who possess specific traits and competencies are more likely to be successful in their roles and in their service to staff, scholars and families: passion for our mission, a deep connection to issues of social justice, a commitment to all scholars we serve and a focus on personal growth and development. The high school assistant principal will be responsible, with the support of the principal for ensuring that every scholar achieves the academic skills, intellectual habits and character traits necessary to be successful in a four-year university and beyond. The principal will accomplish this objective by promoting a collaborative campus culture, setting and maintaining high expectations, supporting the development of instructional staff and building relationships with a variety of stakeholders. Wayside: Sci-Tech High School is small, but growing school and anticipates serving over 300 scholars in 2019-20 school year. 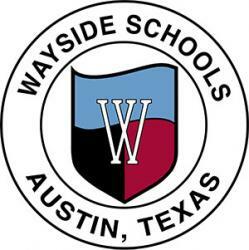 ABOUT WAYSIDE SCHOOLS: Wayside Schools is an open-enrollment, tuition-free Pre-K3-12th grade public charter school network that provides over 2,100 scholars across its five South Austin schools with a rigorous International Baccalaureate education. Since 2012, Wayside schools has striven to empower historically underserved scholars, providing them with the instructional experiences, academics skills, intellectual habits and social and emotional competencies needed to become graduates from four-year colleges and universities, providing them with the access and opportunities they need to narrate their own futures and positively impact and empower the families and communities to which they belong. To be considered for this position, please carefully follow these directions. This position is exempt from the Fair Labor Standards Act (FLSA). The office hours are 7:30 a.m. to 4:30 p.m., however, the Principal from time to time may work an extended schedule, including weekends and evenings according to demands of the role and tasks.